FORT WORTH, Texas. 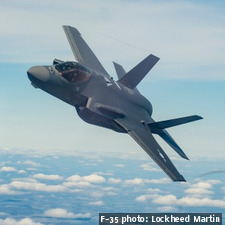 Lockheed Martin has chosen Raytheon to develop and deliver the next-generation Distributed Aperture System (DAS) for the F-35 fighter jet. Northrop Grumman had previously held the contract for the F-35 DAS. The F-35's DAS collects and sends high-resolution imagery in real time to the pilots' helmets from six infrared cameras mounted around the aircraft; the cameras enable the pilots to see their environment and maintain situational awareness in daylight or at night. Lockheed Martin officials assert that the Raytheon-built DAS will save the program more than $3 billion in life cycle cost, reduce unit recurring cost by approximately 45 percent, and reduce operations and sustainment cost by more than 50 percent. They also say that the upcoming Raytheon system will be five times more reliable than the previous DAS, will perform twice as well as the previous system, and will indirectly benefit aircraft readiness and service manpower requirements. 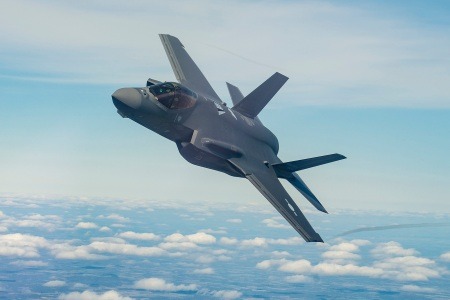 The companies expect that the Raytheon-built DAS will be integrated into F-35 aircraft starting with Lot 15 aircraft, slated to begin deliveries in 2023.